Each of our products is produced through time-intensive and traditional pottery making methods. Combined with high-quality technology from Taiwan and the hand carving skills primitive tribes, use in making totems, fired at high temperature with wood for over twenty hours, which results in an artifact that expresses a sincere and honest feeling. 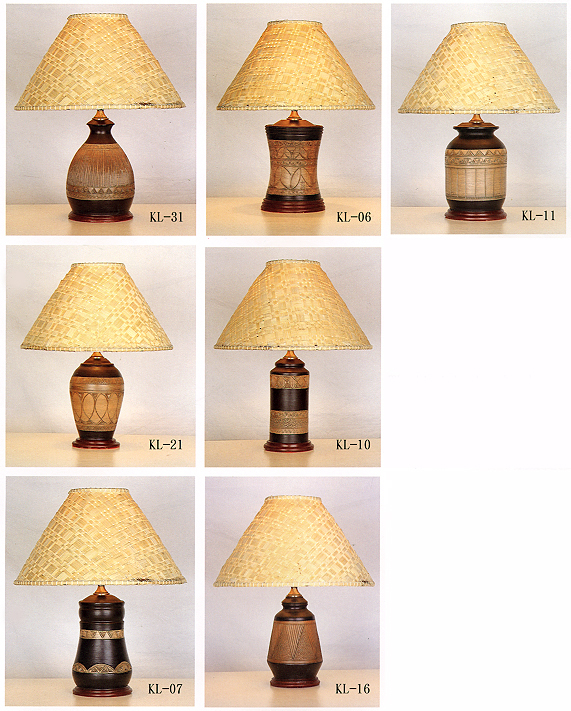 The products, entitled "Natural World Series", also exhibit a basic wood hue that harmonizes with timeless mystery. 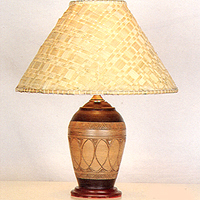 Matching the hand-knitted bamboo lampshade, such high quality works of art are ideal for display in leisure vacation centers, classic hotels or homes that are need by or belong to nature lovers. In addition to match up with the entire interior design, the products also make a relaxing, soothing and romantic atmosphere for user.